If you only owned one cookbook, I would recommend my first cookbook, Taming the Flame. It is my love letter to grilling and barbecue and because I grew up in the South, it has a southern flavor mixed into a global palate. The book is mostly about techniques, tips and savory foods but includes homemade baked goods because in my family we always had 2-3 desserts—one was never enough, two seldom were enough and three always seemed like the right number! “My Mother's Fresh-Grated Coconut Cake” is my favorite dessert of all time, it is light and moist—a transcended experience. And, my sister's “World's Best Apple Pie” is the hands-down family favorite—once you make it, it will be your family’s favorite too. The book proves my adage of if you can eat it, you can grill it with recipes for everything imaginable. Best of all, it’s real food, real information—the secret’s of a working chef and pitmaster—that you quickly learn and apply to your own cooking, indoors and out! The recipes are sophisticated, yet simple to prepare. They make a big impression on your friends and family but are easy on the cook. "More than 350 recipes in Taming the Flame offer a wealth of choices for any occasion. They range from down-home to uptown—from Bubba's Bunch Barbecued Baby Back Ribs to Bacon-Wrapped Sea Scallops, from Kenny's Wings of Fire to Salt-Cured Duck Breast with Fig Jam. Twelve "Grilling 101" guides feature expert advice and basic recipes for burgers, steaks, poultry, fish, lamb, vegetables, pizza, and more. 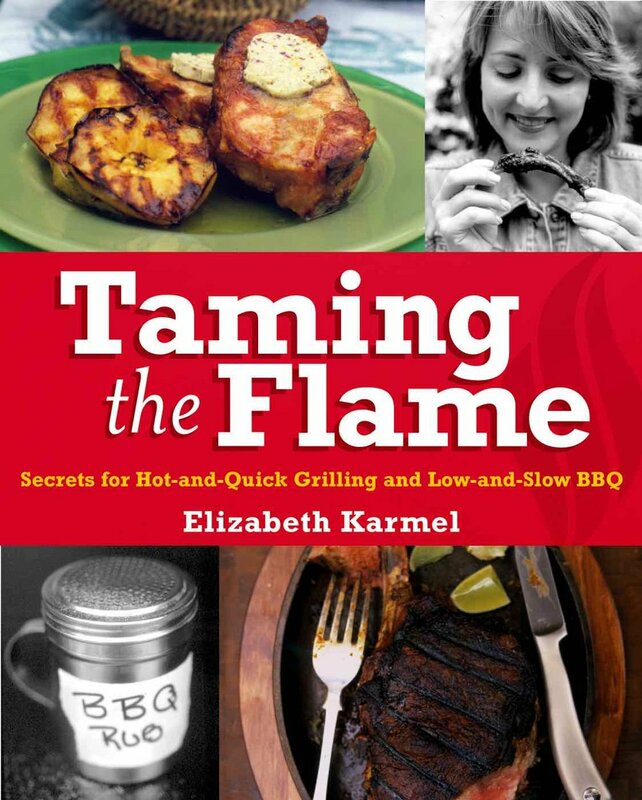 Karmel's signature Grilling Trilogy highlights the inherent flavor of grilled foods and makes grilling classic favorites easy." --Copyright © Reed Business Information, a division of Reed Elsevier Inc. All rights reserved. "My dear friend and fellow culinary adventurer, Bob Blumer and I met and bonded over grilled pizza. As our friendship grew, so did our love of grilled pizza and we would eagerly report on every new creation until we realized that we should compile all of our favorite pizzas and put them in a book! That book is Pizza on the Grill. 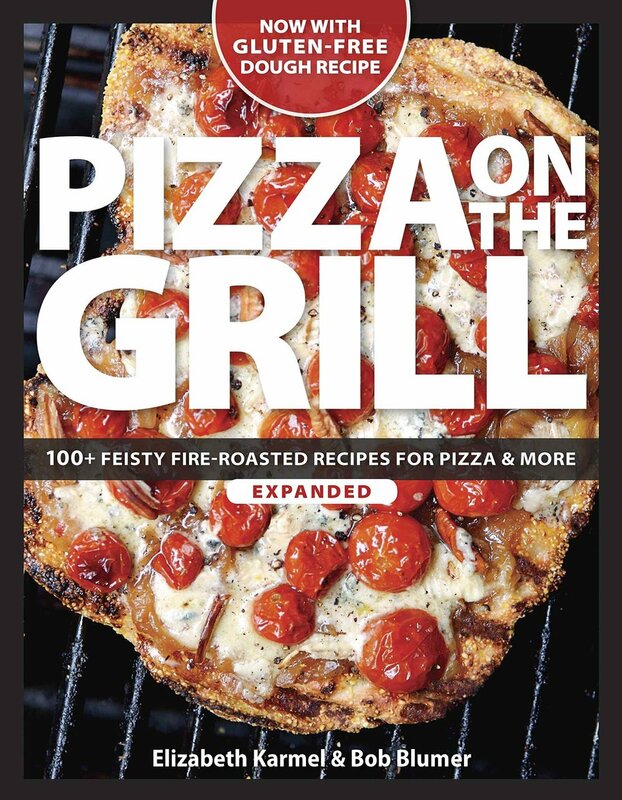 The book has been a runaway hit and we are so excited that people are as excited about grilled pizza as we are. Bob and I always say that once you have Pizza on the Grill, you’ll never want it any other way! The crispy, crunchy, slightly smoky crust is the key! And, once you’ve mastered the technique, think of your crust as a blank canvas to hold all your favorite flavor combinations." Americans love pizza and Americans love to grill–put them together and you have your own made-at-home version of a wood-oven pizza, straight from your gas or charcoal grill. Pizza on the Grill contains more than 100 recipes for innovative, just-got-to-make-it pizzas–including dessert pizzas–that will make you the backyard patio grill meister or mistress of your neighborhood–think Thai One On Pizza, Pulled Pork Pizza, and Fig, Walnut, and Rosemary Pizza, along with traditional classics like Pizza Margherita and Little Italy Pepperoni Pizza. Each recipe will contain music-to-grill-by and drink suggestions, as well as appetizers and salads to round out the meal and make this a one-top entertaining resource. Soaked Slathered and Seasoned is for the creative chef. It is a book chock ‘ful of ways to flavor food. Soaked is for Marinades and Brines, Slathered is for sauces, mops, glazes—anything you slather on food! and Seasoned is for a pinch of a rub, compound butters, flavored vinaigrettes—when a little dab will do ya! The inspiration for the book was how we all cook on a weekly basis. We pick our favorite protein and vegetables and then decide how we want to prepare them. This book gives you nearly limitless options. If you prepard a chicken breast every night for a year, you could flavor it differently with these recipes for marinades, brines, rubs, flavored vinaigrettes, dipping sauces, compound butters, etc and have a different flavor experience every night for a year…or more! A grilling guideline and basic information is included so you can go away on vacation and pack only this book! A BBQ guru’s definitive guide to marinades, mops, sauces, rubs, and other flavor-boosters. Elizabeth Karmel is one of today’s best-known barbecue experts–owner of the popular Grill Friends line of grilling products, Executive Chef at New York’s acclaimed Hill Country barbecue restaurant, and a frequent television guest. Now, in this encore to her grilling guide Taming the Flame, she serves up a barbecue cookbook for all seasons and seasonings–400 great ways to add flavor to grilled foods, including marinades, brines, barbecue sauces, glazes, mops, salsas, jellies, sweet sauces, rubs, vinaigrettes, dressings, compound butters, pestos, tapenades, and dipping sauces. — Copyright © Reed Business Information, a division of Reed Elsevier Inc. All rights reserved.